Crazy P Ranch is situated in the eastern foothills of the Big Horn Mountains approximately 15 miles south of Buffalo, Wyoming. 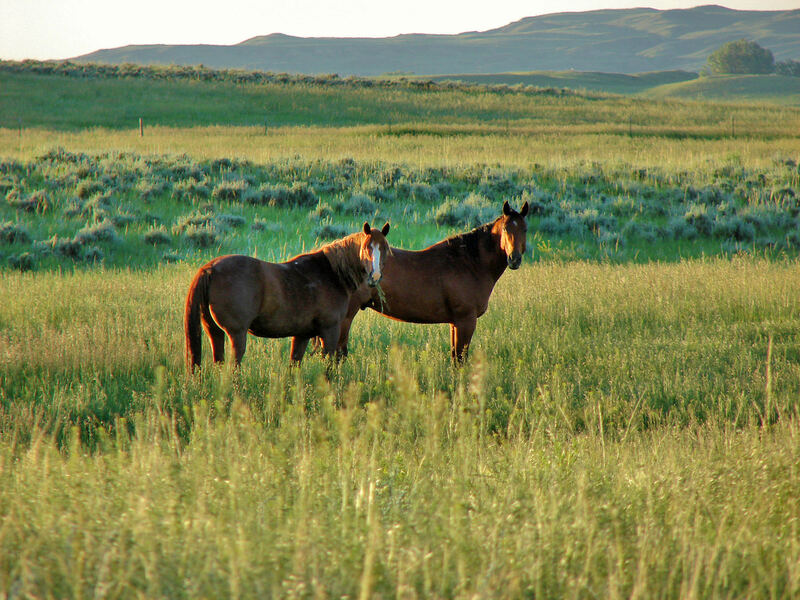 The Ranch is comprised of 1,749± total acres of which approximately 1,429 acres are deeded, 280 acres are State of Wyoming lease, and 40 acres are Bureau of Land Management lease. Located below the jagged Crazy Woman outcroppings, the breathtaking views are accentuated as the sun casts shadows across the rugged Bighorn Mountains. With approximately 240 irrigated acres, lush fields attract an abundance of wildlife including whitetail deer, mule deer, sharp-tailed grouse, Hungarian partridge, pheasants, and turkeys. The improvements on the Ranch are well kept and provide not only functional buildings for the operations of the Ranch, but also a comfortable and private retreat for the owner to enjoy. The tree-lined driveway leading to the custom-designed log home reflects a standard of care that exceeds the norm. With exceptional scenic qualities, unlimited outdoor sporting opportunities, and modest agricultural production, Crazy P Ranch should be very appealing to buyers in today’s market. Located just 15 miles South of Buffalo, Wyoming, via Old Highway 87, Crazy Woman Road, and Muddy Creek Road, the Ranch enjoys excellent year-around access and privacy. Johnson County Airport (KBYG), a well-improved airstrip capable of handling good-sized aircraft, is located in Buffalo, Wyoming. The lighted asphalt runway is 6143' x 75' with a beacon operating from sunset to sunrise. Buffalo also has all the essential services needed before heading to the Ranch. With a modern hospital and clinic, two grocery stores, sporting goods store, four banks, several agricultural supply, hardware and lumber stores, a movie theatre, fine dining, and an excellent public school system, Buffalo is able to provide all of the essentials. Gillette, Wyoming, east of the Ranch on Interstate 90 has commercial air service with connecting flights to several major hubs including Denver, CO and Salt Lake City, UT. Gillette also offers additional services for building supplies and equipment to satisfy nearly all the needs on the Ranch. The Ranch elevation is approximately 5,200 feet above sea level. Buffalo experiences a semi-arid climate with cold, dry winters, wet springs, and hot summers. The average annual precipitation in nearby Buffalo is 13.26 inches. 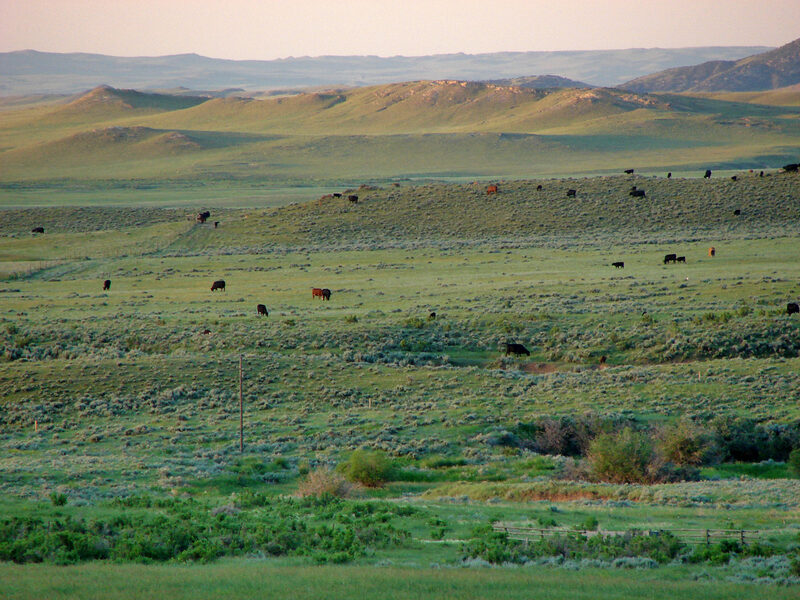 With regard to cattle ranching, Buffalo and the surrounding area is considered by many cattlemen to be one of the most desirable locations to raise high-gaining cattle in Wyoming. This is due to the mild winters and wet spring weather which usually produces excellent quantity and quality of forage for livestock to utilize year round. The Ranch sits in a valley that is noted for exceptionally mild winters. When much of the surrounding area is covered in snow, often the Ranch is enjoying milder conditions. This proves to be beneficial from the standpoint of good year-round access and more accommodating weather for livestock production. 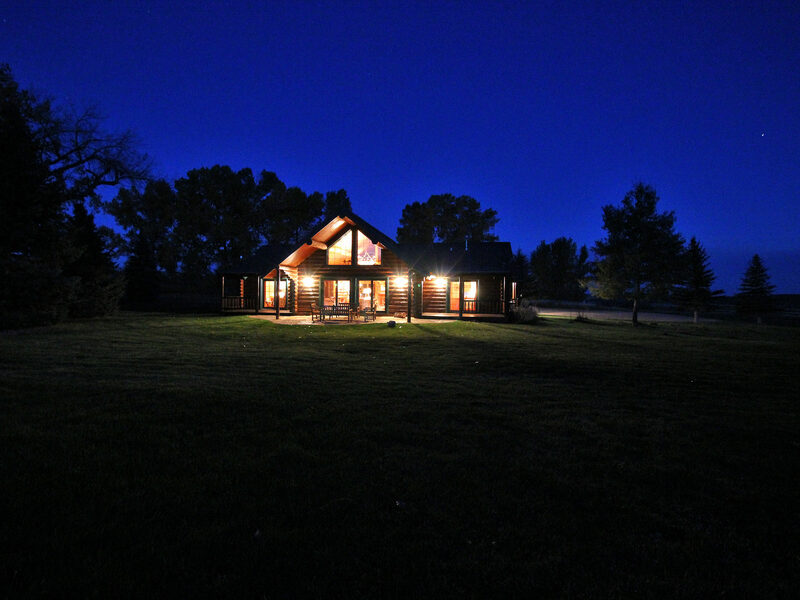 The Ranch has been meticulously maintained and improved under the current ownership. The pastures have been managed with sustainability in mind which is evident by the amount of vegetation remaining after the period of use. Pasture fence on the Ranch is functional with many of the barbed-wire fences updated in recent years. With adequate stock-watering points throughout the Ranch, the forage utilization is considered to be good. 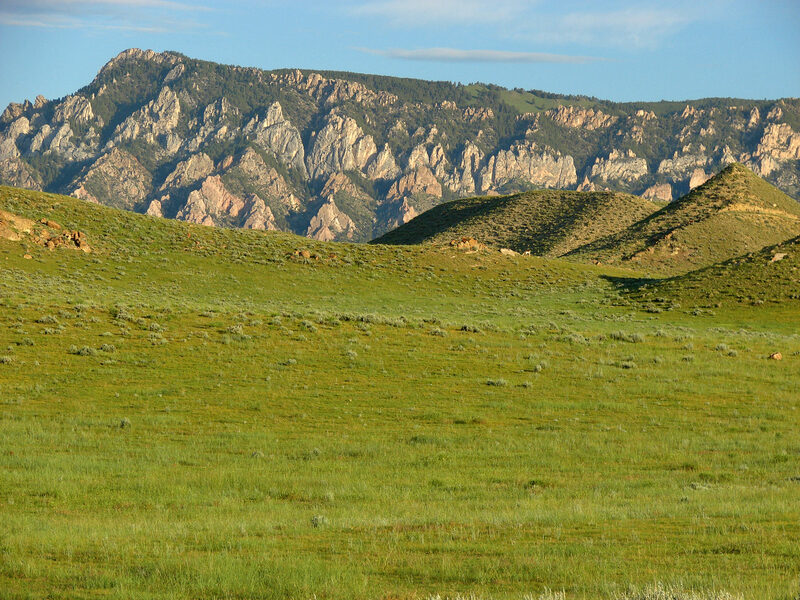 The Ranch is well balanced with both native pastures and irrigated meadows. The irrigated meadows produce grass hay which consist primarily of brome and orchard grasses. The native pastures are comprised of buffalo, blue gramma, and several varieties of wheat grasses. With a combination of irrigation methods including a side-roll sprinkler, big-gun sprinklers, and flood irrigation via gated pipe and ditches, the 240 irrigated acres produce quality grass hay which can be fed on the Ranch or sold annually. These lush fields not only create a beautiful park-like setting around the log home, but also attract an abundance of wildlife. The Ranch is operator rated at 85 Animal Units. Currently, the Ranch functions as a winter grazing unit. By utilizing the grass during the dormant season and feeding hay produced on the property, 200 cows can be maintained on the Ranch for approximately 6 months. Approximately 200 tons of grass hay have been produced annually from the irrigated fields. If desirable to the new owner, hay production could be significantly increased by farming the irrigated fields and planting to higher-yielding hay crops. The Ranch is well watered by underground pipeline, 14 rubber-tire stock tanks and supplied by a well producing from the Madison formation. Along with the stock-watering pipeline, irrigation ditches and stock reservoirs provide adequate watering locations for livestock year round on the majority of the Ranch. Contact Swan Land Company for detailed information. The Ranch house, the stock-watering system, the side-roll sprinkler, and the big-gun sprinklers utilize water from a Madison well located at the western edge of the property. Ownership of the Madison well and small acreage surrounding the well will be retained by the Seller. A water-use agreement allowing continued use of the water shall be executed by Buyer and Seller at closing. Contact listing agent Scott Williams for specifics. The Ranch contains two well-maintained residential structures, as well as functional improvements for the agricultural operation. 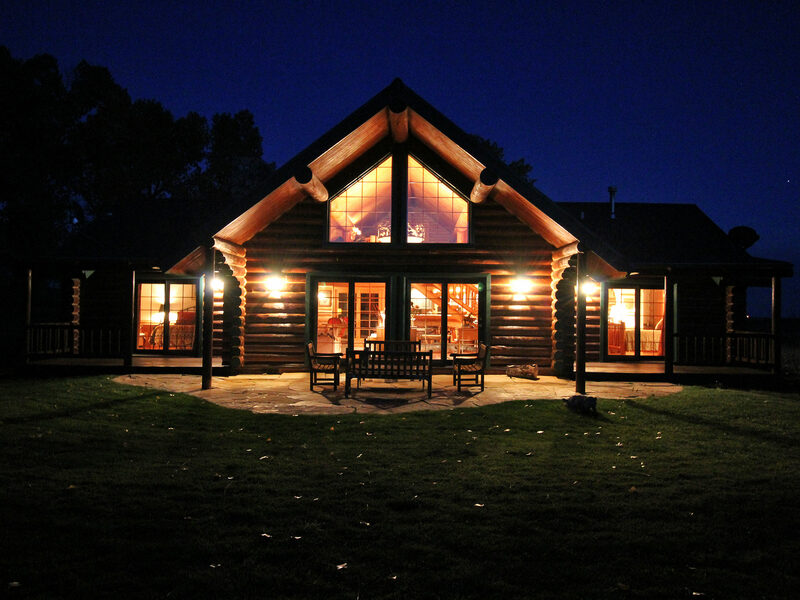 The custom-designed log home, which was featured in Log Home Living’s “Focus on Floorplans”, was constructed in 1998. The home has approximately 2,250 square feet of living space with 3 bedrooms and 2 bathrooms. The vaulted ceiling provides abundant light to the open loft with the balcony overlooking the beautiful river-rock fireplace. Four covered porches lead to beautifully-designed flagstone patios and manicured landscaping surrounding the home. With an automatic underground sprinkler system for the lawn and drip system to the trees, the yard remains lush through summer and fall seasons. All the necessary conveniences including internet, direct TV, and land-line phone allow for connectivity to the outside world. The hunter’s cabin, originally built in the 1880s as a homesteader’s cabin and refurbished in 2002, is a quaint one bedroom cabin with approximately 450 square feet of indoor living space which provides a rustic yet comfortable experience. With a wrap-around wood deck, outdoor living is made both convenient and enjoyable. The shop building, a 30' X 60' metal-sided structure provides inside working space for the operations of the Ranch. The partially-insulated shop has electric power and a concrete floor in half of the building. Electricity is provided by Powder River Energy Corporation. Propane gas is provided by Tri-County Gas. Telephone is provided by CenturyLink and cellular communication is available on the Ranch via Verizon Wireless. Satellite internet is provided by Hughes, satellite TV is provided by DirecTV, domestic water is provided by a Madison well and the sewage system is septic. All irrigation equipment used on the Ranch will be included with the sale, including the side-roll sprinkler, two big-gun sprinklers, and gated pipe. 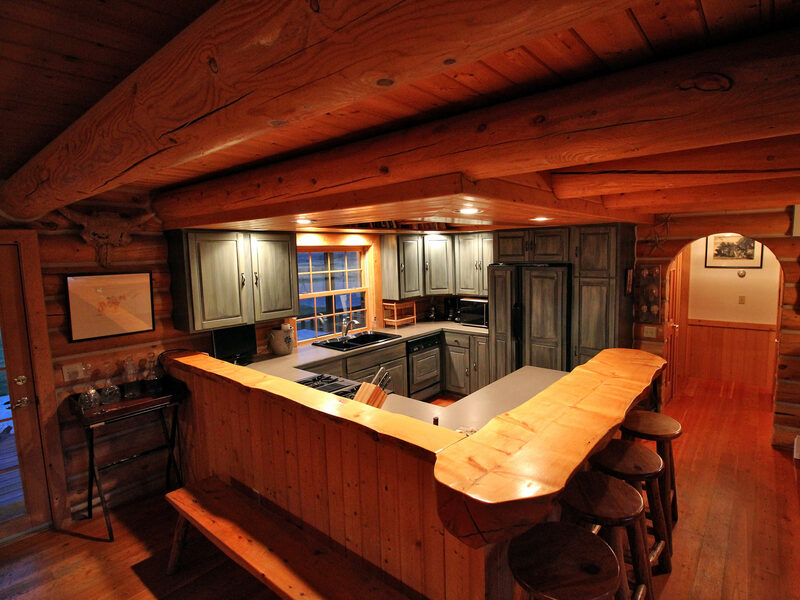 The log home and the hunter’s cabin will be sold with many furnishings. A list of personal property to be conveyed with the sale of the Ranch may be provided to qualified buyers by contacting listing agent Scott Williams. The Buffalo, Wyoming area is rich in history as multiple battles took place in the region. The Johnson County War, a battle between large cattle barons and homesteaders, took place just a few miles from Crazy P Ranch. Also just a short drive from Buffalo is the Fort Phil Kearney historic site, the Fetterman’s Massacre Site, Wagon Box Fight and the infamous “Hole in the Wall”- which was the hideout of the notorious Butch Cassidy and the Sundance Kid along with the rest of the Wild Bunch. The Jim Gatchell Museum in Buffalo is a must see with over 15,000 artifacts from the old west. The historic Bozeman Trail marked its path through the area and served as an overland route connecting the gold rush territory of Montana to the Oregon Trail. The area economy is driven by agriculture, tourism, and energy development. However, through the boom and bust of energy development, agriculture has remained the backbone of the local economy. Tourism remains a viable economic factor as Buffalo is located at the intersection of Interstate 90 and Interstate 25, and is a logical stopping point for visitors heading to Yellowstone National Park. As a result, Buffalo has excellent hotel amenities. The Ranch is home to an abundance of wildlife including whitetail deer, mule deer, antelope, sharp-tailed grouse, Hungarian partridge, pheasants, and turkeys. 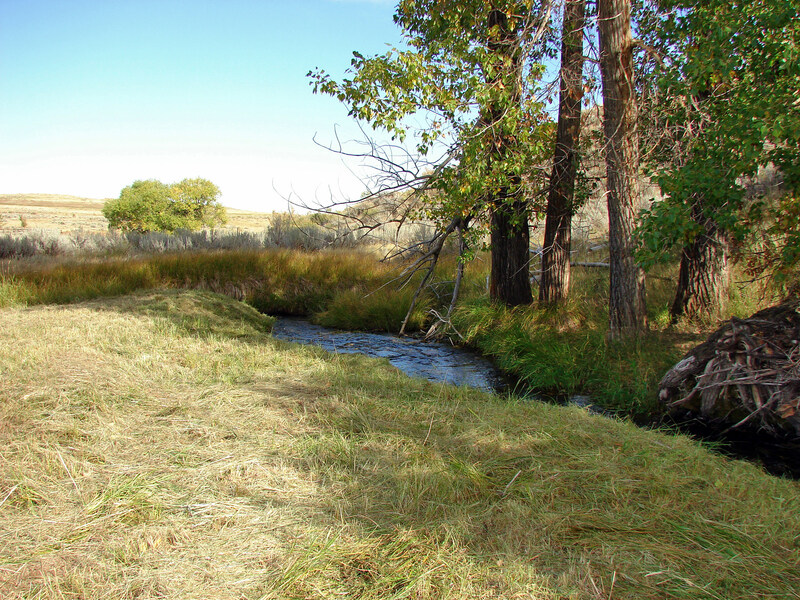 Muddy Creek, which runs through the Ranch, provides a healthy riparian zone which creates desirable habitat for many different species. Further development of food plots and cover could significantly enhance the hunting opportunities on the Ranch. Crazy P currently holds a game-bird farm license with the Wyoming Game and Fish department. Annual release of ring-necked pheasants effectively supplements the pheasant population and provides great sporting opportunities along Muddy Creek and amongst the irrigated fields. Muddy Guard Reservoir #1 is located partially on the Ranch and Muddy Guard #2 is located adjacent to the property on adjoining state land and private property. 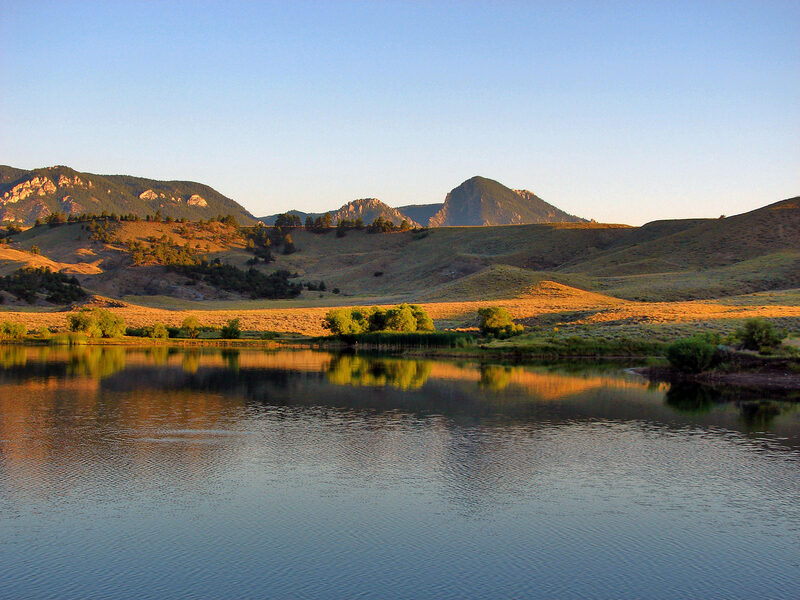 These reservoirs are managed by the Wyoming Game and Fish department and provide excellent fishing opportunities. 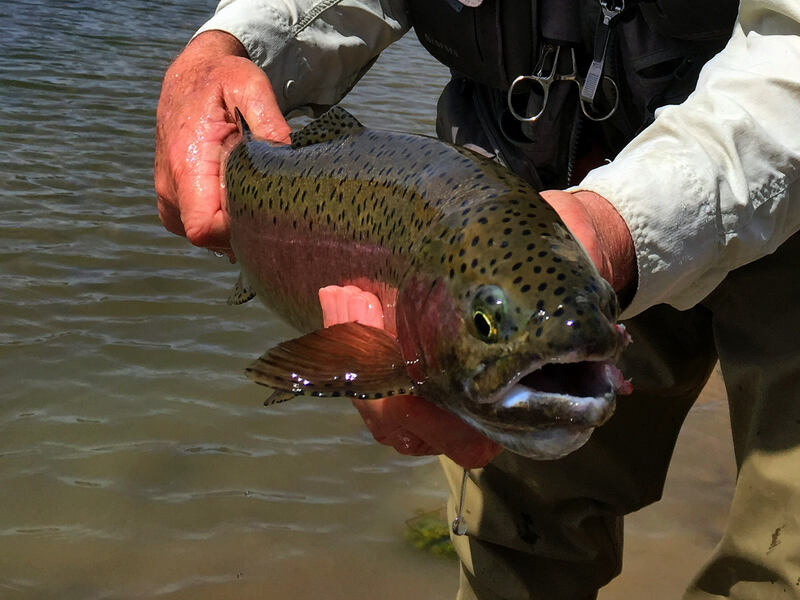 Muddy Guard #1 is considered a trophy fishery and regulations limiting the use of live bait has enhanced the quality of fish in the reservoir. Crazy P Ranch has a convenient private-access route to the Muddy Guard #1 reservoir allowing quick and easy access from the Ranch. The Ranch is adjacent to approximately 1,320 acres of state land which provides additional opportunities for outdoor activities. 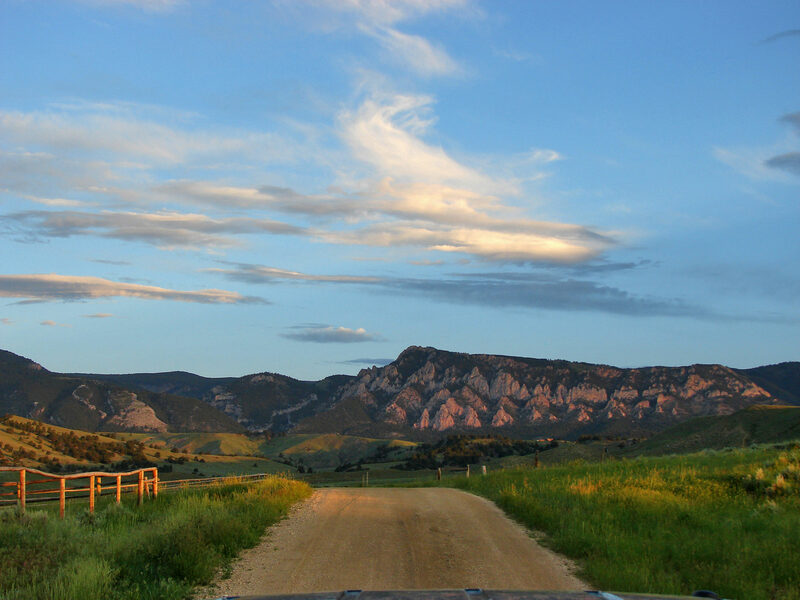 Crazy P Ranch, comprised of 1,749 total acres, is located at the base of the Bighorn Mountains with majestic views of the Crazy Woman outcroppings. Located approximately 15 miles South of Buffalo, Wyoming, the Ranch enjoys a private setting, yet is only a short drive from the amenities of town. The custom-designed log home will be a comfortable resting place as it draws family and friends back from the day’s activities. The current owners of the Ranch have done a wonderful job maintaining the quality and condition of the improvements. The absence of deferred maintenance on any of the buildings is readily apparent upon inspection of the Ranch, allowing new owners to move right in. Buyers seeking a well-maintained ranch with abundant wildlife will find the Crazy P of particular interest. 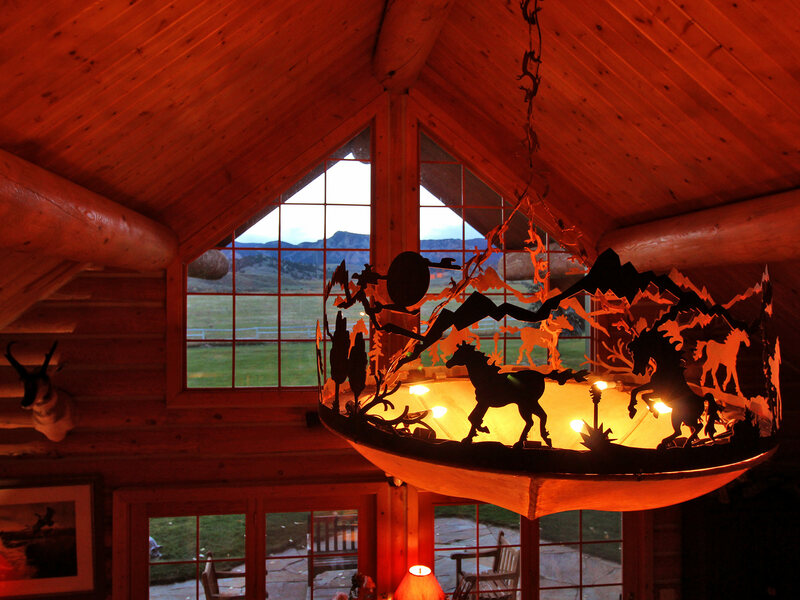 The Ranch is well priced in today’s active Big Horn Mountain region. The location of Crazy P Ranch with tremendous viewscapes, privacy and security make it an attractive offering in the Johnson County market.